We spent some time out West hunting elk with our friends from Leupold. Learn about Leupold optics, the technology, care and insight into the American-made optics brand. They provide tips for using binoculars, rangefinders and scopes when hunting elk in western terrain. What is the Custom Dial System? Bruce Pettet, CEO of Leupold, explains the custom dial system to Kevin Tate of Mossy Oak while on an elk hunt in Colorado. Leupold’s Custom Dial System® (CDS®) helps you easily compensate for bullet drop and make ultra-quick adjustments on the fly. With CDS, you can match your exact load, velocity, and conditions for unprecedented precision. 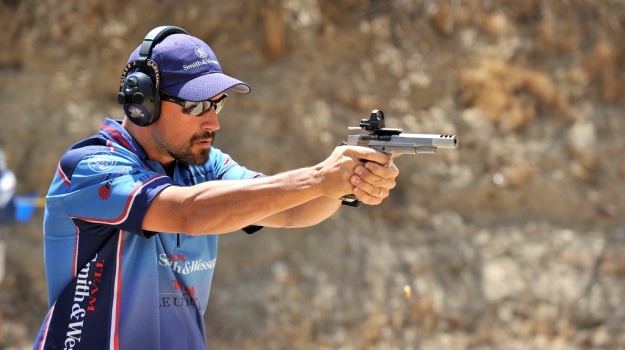 Once you range your target, simply turn the dial to the correct position, aim dead on, and squeeze the trigger. Michael Wunnicke, of Leupold, provides tips for glassing western terrain with Rusty McDaniels of Mossy Oak. When you’re looking for elk in the open, mountain landscape, use max magnification and extra power. Start by looking in the area closest to you first, and work your way out moving left to right. What does the Gold Ring Guarantee Mean? Pettet explains what the Gold Ring Guarantee that Leupold stands by means. He provides some insight into the Leupold brand and culture, taking pride in their American-made optics. Because they take so much pride in their products, they guarantee them for life. If your Leupold riflescope, binocular, or spotting scope doesn’t perform, they will repair or replace it for free - whether you're the original owner or not. You don’t need proof of ownership or a warranty card, and there’s no time limit. What is the best scope for western hunting? 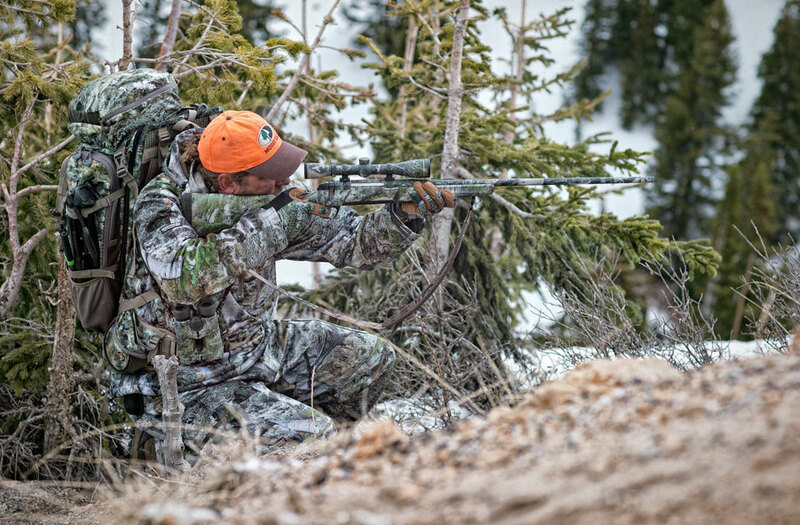 Wunnicke explains what goes into choosing the best scope for western elk hunting. When rifle hunting in western terrain, you want a versatile scope for the varied distances you’ll be hunting. The ability to adjust the power on the fly is an important feature for rifle hunting elk out West. Wunnicke offers an easy solution for taking care of your optics while in the field. You want to prevent the eye pieces from getting debris on the lenses, so keep your binoculars and rangefinder in their carrying case or pouch. Wunnicke gives advice on taking care of your optics after the hunt. You can run them under some water or use a lens cloth to get the dust off the lenses. Leupold provides cloths with their optics to help keep them clean. You can also use canned air to clean out the dust or remove pieces of the optics and clean with a cloth or soft brush. Michael Wunnicke, of Leupold, explains what true ballistic range (TBR) technology is with Rusty McDaniels of Mossy Oak. TBR technology takes into account the angle of your shot and your rifle's ballistics to put you dead on. Line-of-sight measurements won't put you on target and any other rangefinder won't give you accurate ranges because they use basic trigonometry to calculate the distances instead of true ballistics. This was the first morning of my 8-day hunt just outside of Eldorado, TX. We were setup up in a well-known travel corridor catching the deer coming from their primary food source back to their bedding area. We were seeing a large amount of deer since first light.